We can say, from direct experience, that a well-made LED flashlight is head-and-shoulders superior than the 3-for-$10 units we all see at the Home Depot. 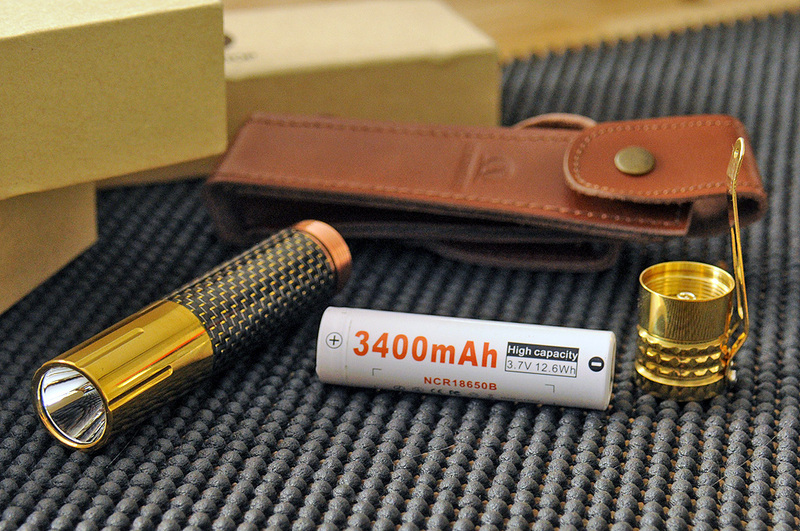 Once you have used a good flashlight it is very hard to go back to those cheap “throw-away” units. 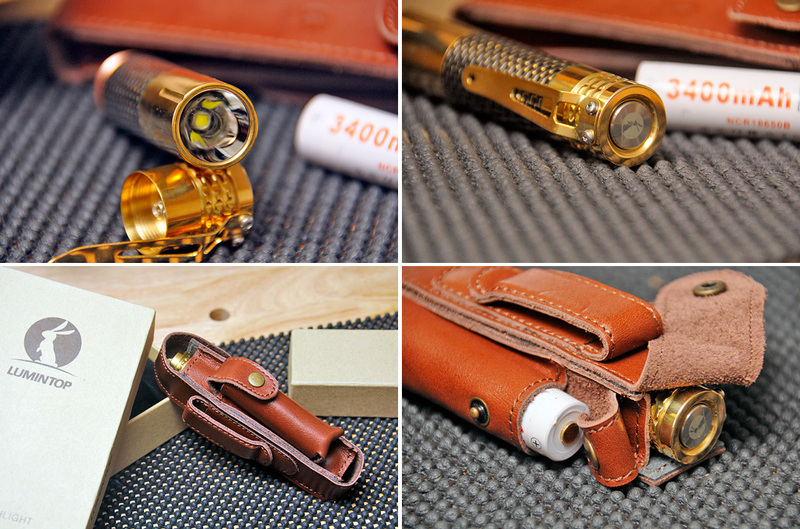 Perhaps this is why flashlights are one of those EveryDayCarry (EDC) gadgets that we just cannot say “no” to when someone asks if we would take a look (and we have, with the LumaRay FL-6, FL-12, Surefire, U2 Ultra, TigerLight, LEDLenser M7RX). This was also the case with the Lumintop Prince. 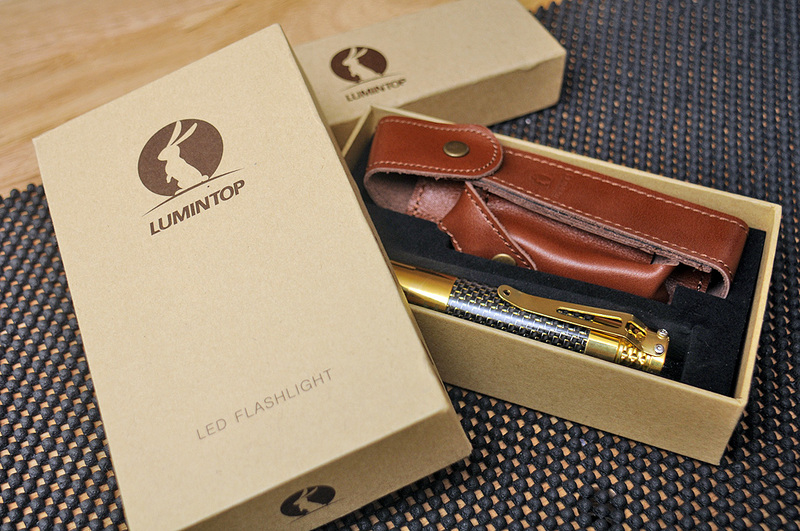 Lumintop is a LED flashlight manufacturer that has been shaking things up in the flashlight market. They have done it by introducing units with specs, features, and quality which compare very favorably with SureFire and other quality makers, but at a lower cost. With its shiny metal parts, carbon fiber trim, and stainless steel switch, it is definitely more showy than the typical all-black and rubberized tactical-type unit favored by the SWAT folks. 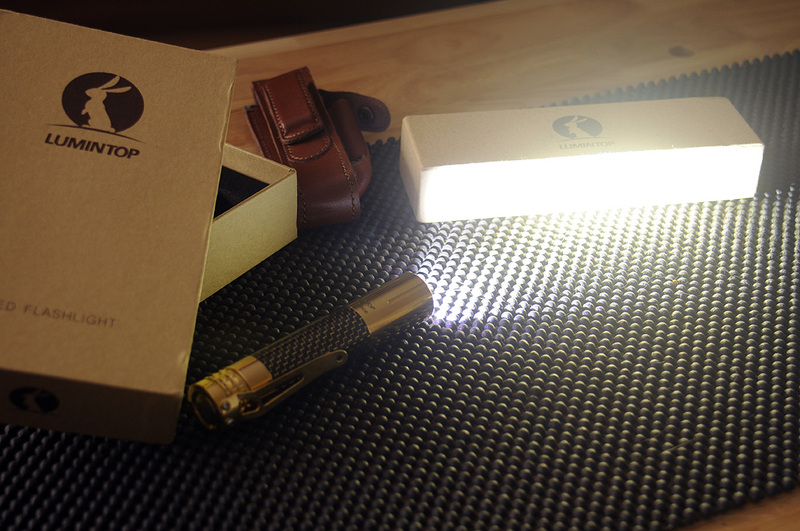 However, do not let its polished exterior fool you into thinking that it is not a “serious” flashlight. Powered by a 3400mAh rechargeable Li-ion battery, The Prince can generate a 1000 lumen output and throw a beam over 500 feet. With all this power, heat can be an issue. This is why Lumintop has added heat-protection circuitry which will automatically protect the LED should the temperature get too high. What is amazing is Lumintop has managed to pack of this into a tube less than 5″ long. Now we would love to tell you about how the Lumintop performs in actual use, but someone (we won’t say who) left it on and drained the battery. Yes, we could use a replacement battery, but we wanted to do the FirstUse review with just OEM parts. Stay tuned. It’ll be worth it.